It's January, you would have received notification from your employer to submit IT proof for all the declarations you made for income tax deductions. For all large organisations, the deadline would be mid of January and for small organisations, its from January till mid of February. You need to make quick investment decisions which you didn't do the whole year! You need to arrange proofs for all the investments you already made, in short, you need to borrow time from your busy schedule to run here and there, come up with right investment decisions, invest and the most important part, get the investment proofs. Most of the investment houses provides options for downloading statements/proofs online, such as insurance providers, mutual fund brokers, home loan providers etc. 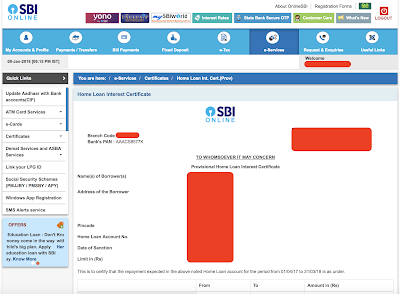 SBI didn't have online option to see the loan statement nor they had option for download provisional certificates, you had to visit their 'crowded' branches and get the certificated printed, for which you will have to take at least half day leave. The good news is, things have changed in SBI too, now you can view your home loan statement online and also download the provisional certificate for income tax purposes. 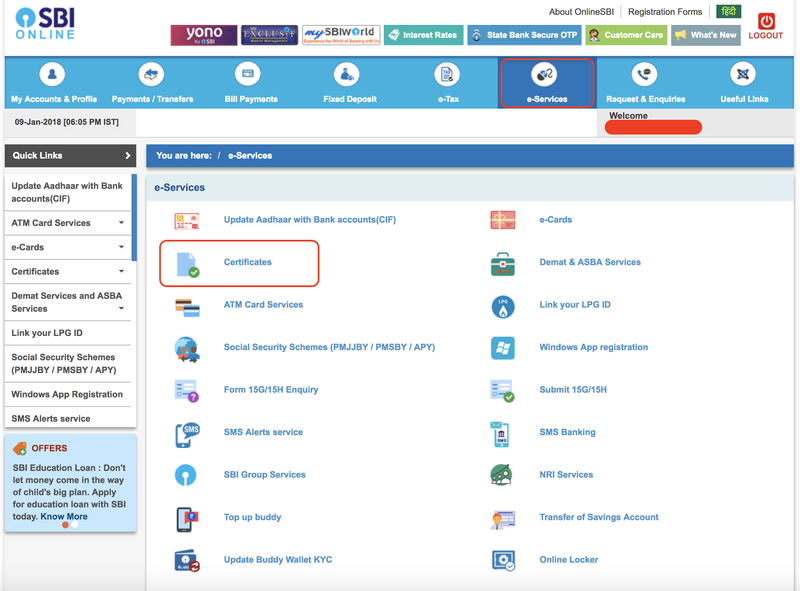 Only prerequisite is, you need to have your SBI account enabled for online transactions. 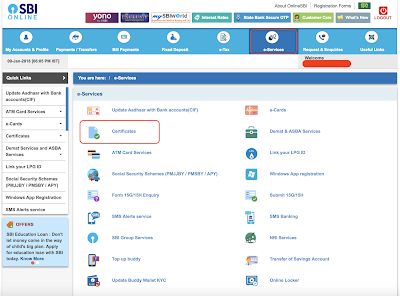 How to generate provisional certificate online? 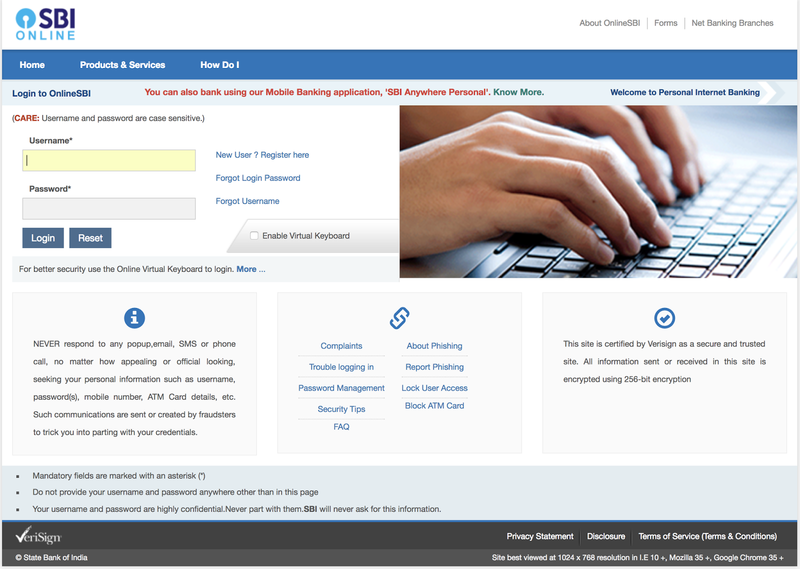 First, log on to the SBI online portal. 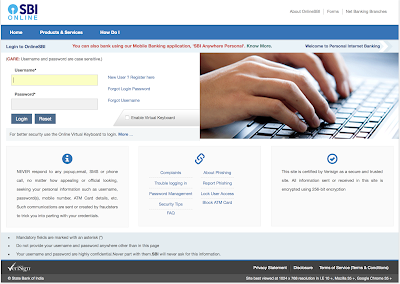 Now click on the "e-Services" link which you can find on the top menu(the mouse icon), then look for "Certificates" link and click on it. 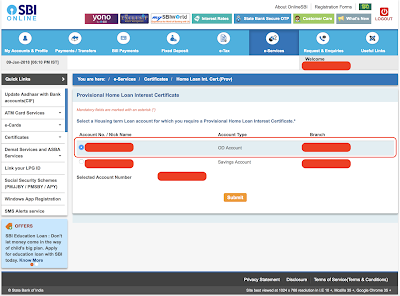 You will be redirected to a page titled "Provisional Home Loan Interest Certificate" where you can see all your loan and savings account listed. Select your loan account from the list(for MAxGain you have to select the "OD Account" account type) and click on "Submit" button. 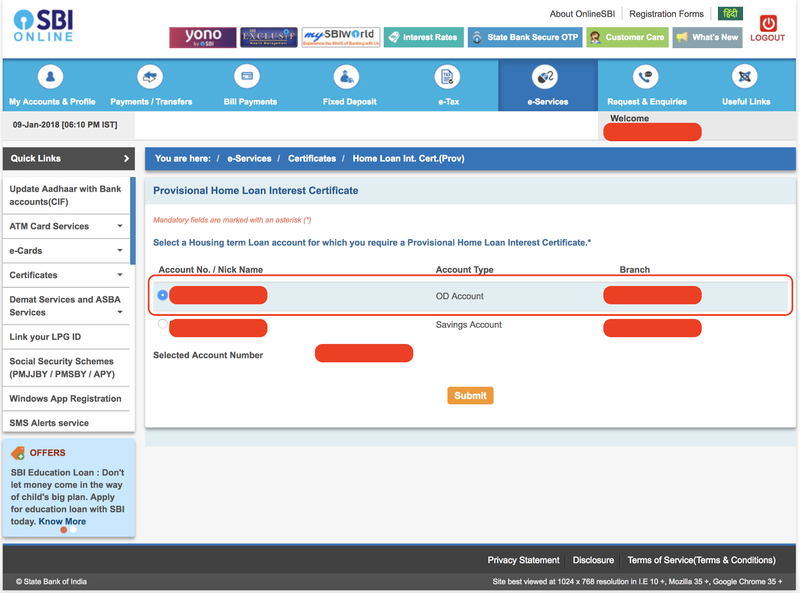 Provisional certificate for your loan account will be presented on screen, you can click on the "View / Download in PDF" link to download the pdf version of the certificate. In the certificate you can see the repayment breakup for the financial year, the fist section contains the "Actual Repayment", then "Expected Repayment", also it contains the breakup between the principal amount and interest which is derived from the EMIs you paid plus the EMIs due for the current financial year. What are you waiting for? Go to the online portal, generate and download the certificate and submit it to your employer at the earliest! All the best for your income tax return filing. while performing this operation online, I'm getting a message that provisional certificate is not available for this account. Called up the bank and got to know that as per RBI instructions, this option will be enabled on after march of a fin year . I've no clue why it should be like that, but that is the info. The certificate not showing as on date details. Today i.e. on 14/01/2018 I am getting details actuyal for the month April-17 and for rest months i.e May-17 to March-18 showing provisional amount. I'm getting below error when I'm trying to download inst. Certificate as shown above . Any idea? -----> You do not have any housing loan accounts. Thank You ! for the information.